Brixton Energy Solar 3 is a new co-operative set up to enable local people to invest in renewable energy generation in Brixton and raise funds for energy efficiency initiatives. 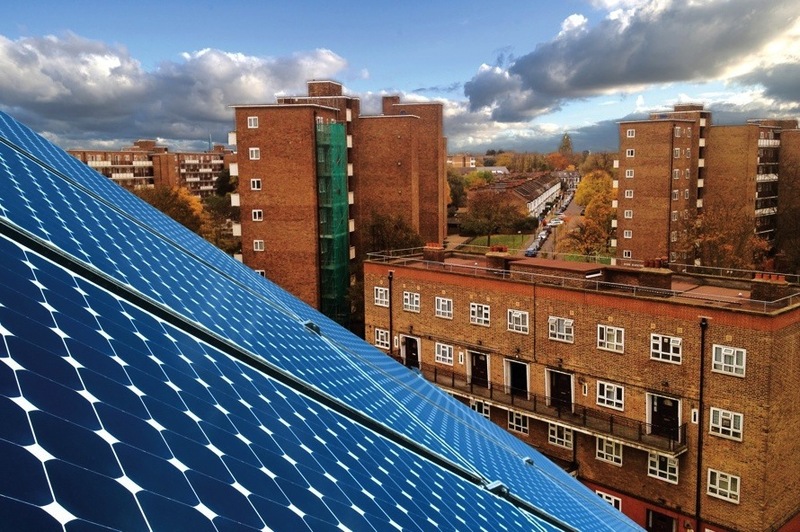 By purchasing shares in Brixton Energy Solar 3, your money will be immediately invested locally, financing the installation of a major solar power station in Brixton, creating jobs and training opportunities and helping to alleviate fuel poverty. The launch of Brixton Energy Solar 3 follows the success of Brixton Energy Solar 1 & 2, the first inner-city community-owned solar power stations in Britain. Brixton Energy Solar 1 saw the installation of a 37kW solar array on the roof of Elmore House on the Loughborough Estate. The array has been generating renewable energy for Brixton since 30th March 2012. Solar 2 saw the installation of a 45kW solar array on Styles Gardens - five housing blocks situated on the Loughborough Estate. The array has been generating renewable energy for Brixton since the 31st of October 2012. 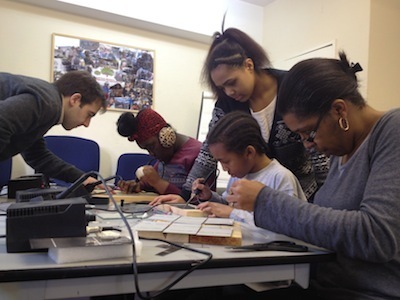 To date, the two projects have generated in excess of 50,000kWh of community-owned renewable energy in Brixton. Using the same community led approach, the solar panels for Brixton Energy Solar 3 will be installed on four buildings within the Roupell Park Estate: Hyperion House, Fairview House, Warnham House and the Community Office. The income from the project will be derived principally from the government’s Feed-in Tariff scheme, which is guaranteed for 20 years. Some of the energy generated by the project will be used on site with the remainder energy sold directly back to the grid. After operating costs are deducted, profits resulting from the sale of energy will be used to support local energy efficiency initiatives and provide Co-operative members with an annual return on their investment. In line with the aims of a co-operative organisation and social enterprise, the project has been structured so that a portion of the revenue generated through the project will be placed into a Community Energy Efficiency Fund (CEEF). 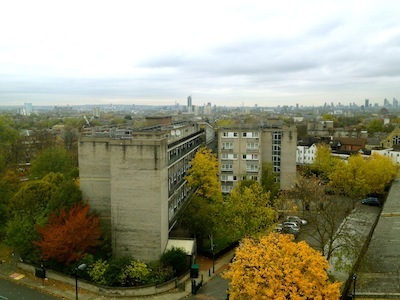 This fund will then be used to improve the energy efficiency of the housing stock in Roupell Park Estate and Brixton as a whole, thereby taking meaningful steps to alleviate fuel poverty for some of the poorest residents. More and more people now accept the urgent need to reduce our unhealthy dependence on fossil fuels. Many of us also realise that we cannot wait for others to tackle the problem. We need to see action now, not only from the government but also from individuals, households and communities. The combined array for Brixton Energy Solar 3 (52.5kW installed capacity) is expected to save approximately 22 tonnes of CO2 every year by displacing electricity that would otherwise be generated by coal and gas power stations. We hope that you will join us in making this happen. Brixton Energy Solar 3 was switched on by Chuka Umunna, Shadow Secretary of State for Business. We have extended our share offer until Friday the 26th July! Electric Social, 40 Acre Lane, London, Brixton SW2 5SP on Tuesday 9th July 7pm - 10pm. Please join us to find out more about Brixton Energy and to celebrate! Its official, phase 1 of the Brixton Energy Solar 3 is complete. Blazej (intern and resident from the estate) helps the Souther Solar crew connecting the last Solar panel for the Hyperion House solar array. Brixton Energy Solar 3 is go! Today we launched Brixton Energy Solar 3 with a visit by the Secretary of State for Energy and Climate Change, Edward Davey MP, and Minister for Energy & Climate Change, Greg Barker to the roof of Brixton Energy Solar 1.